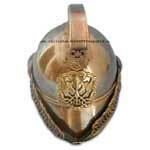 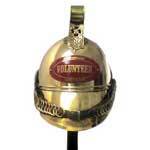 We are reputed as one of the dependable Brass Fireman Helmet Exporters from India. 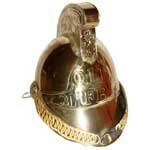 Various national as well as international clients are placing bulk orders for the Victorian Brass Fire Helmet as these are made up of optimum quality materials. 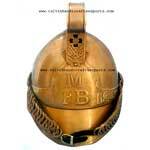 Moreover, the intricate patterns and designs of the Fireman Bell Brass Helmet portray the clear picture of medieval age.